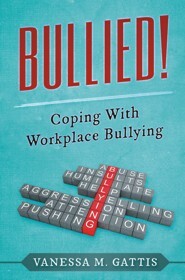 Workplace bullying, the repeated and regular act of harassing, offending, socially excluding someone, or negatively affecting someone’s work over time has been recognized as a serious threat to the health and well-being of employees. This study sought to explore resilience as a coping strategy to help improve the physical and mental health effects of professional women who have or are experiencing workplace bullying. The central research question was, how does perceived resilience, when used as a coping strategy, help with the physical and mental health stressors while helping to improve the overall well-being of professional women who were or have experienced workplace bullying? Using a qualitative methodology with a single-case study design, 10 professional women who have and are still experiencing workplace bullying were commissioned to participate. To increase the validity of the results, four data techniques were employed: open-ended interviews, researcher notes with observations, and two surveys-the Resilience at Work (R@W) Scale, and the SF12v2 Health Survey. Four major themes emerged: Negative Experiences, Consequences of Bullying, Impact on Health, and Support Systems. It was discovered that the majority of the participants believed that they were targeted at their workplace because of their race, followed by their gender, and age. The women shared that the negative experiences and consequences of bullying can serve as indicators that workplace bullying is evident and that it can affect their health negatively. Additionally, the participants reported that various support systems and networks greatly increased their resilience at work. Vanessa Michele Gattis was born and raised in Camden, New Jersey, and now teaches at the U.S. Army War College in Carlisle, Pennsylvania. A U.S. Army Colonel, she earned a Ph.D. in Industrial/Organizational Psychology from Grand Canyon University, a M.Ed. from Howard University, and a BA from Wilberforce University. Her heart's desire is that her love for God and experiences will be an inspiration to others while helping them to discover the greatness that lies within.